I came to board at MLC from Batavia (Jakarta, Indonesia) when I was five and believe I was ordained to spend 10 formative years with a great Methodist educationist, Gertrude Walton, who, I am sure, "adopted" me. In 1949 I went to England, set on a publishing career. I returned to Australia with experience at Raphael Tuck & Sons as a children's editor/storywriter. 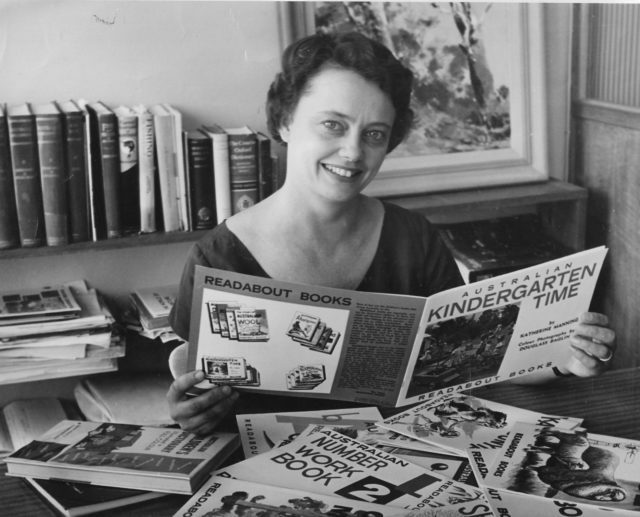 Australian publishing icon Beatrice Davis employed me in 1956 at Angus & Robertson. My most satisfying professional achievements included the success of an education, gazetted dictionary I wrote, the Australian Children's Dictionary. For over 25 years it remained in print in Australia and various countries and sold many hundreds of thousands of copies. As editor at Hodder & Stoughton, the commissioning of Agent Orange: The Bitter Harvest in 1980 stands out. It exposed the consequences of the use of chemical warfare in the Vietnam War. Noted Methodist minister Lord Donald Soper, who married my husband Brian and I in 1955, influenced my ministry. He was on a visit to Sydney in 1978 where I introduced him to the Rev. Ted Noffs of the Wayside Chapel in King's Cross. I volunteered at the Chapel and Lord Soper suggested I enter the ministry. In 1981, aged 52, I enrolled in theological college. In 1985 I was the 21st woman to be ordained in the NSW Synod of the Uniting Church of Australia. Most of my ministry, until my retirement at 75 in 2000, was spent in workplace chaplaincy. My religious orientation is Universalist, for which chaplaincy is ideal, because it is open to all employees. My advice to others is believe in your potential and ability to process challenges. Written and spoken communication is pivotal to success in all fields of endeavor. Rev. Marilyn Stacey died in December 2012, soon after this was written with the help of her son, Paul. On MLC: Walking along the high gutter of the Assembly Hall to get to the bedrooms of our friends for a midnight feast.